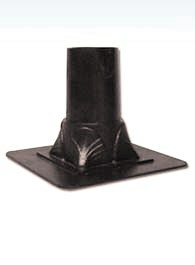 Pier Bracket for column or pillar installations. Fits most gas lamps with 3" post mount hub. Base is 4 3/4" x 4 3/4" with 3" OD x 6" steel stud.